Lynnwood Property Management, Lynnwood Property Managers, Lynnwood, WA Property Management Companies. Seattle's Property Management, a subset of The Bronson Group, is a locally owned professional management company focusing on residential rental homes and small multiplexes. We understand the complex aspects of owning and managing rental houses and apartments. Our focus is maximizing investor return while providing residencies that tenants are proud to call home. Seattle's Property Management combines the strength, efficiencies, and resources of a large corporation while maintaining a level of service, knowledge, and professionalism of a local company. We firmly believe in the values on which we are founded and strive to apply them every day and with every decision. Our operational expertise includes the professional management of homes, condos, townhomes and apartments throughout the King & Snohomish County areas. We understand local knowledge is key in driving maximum property performance and we work proactively to be the experts in our field. This allows us to respond quickly and effectively to constantly changing market conditions. With more than half of our investors and owners living outside of Washington, our goal is to provide a package of services that allow them the peace-of-mind of knowing their investment is in good hands. Includes utilizing The Northwest Multiple Listing Service (NWMLS), Google AdSense, keyword optimization to ensure high “organic” search engine(s) ranking as well as posting your property to over 100 relevant websites including www.SeattlesPropertyManagement.com. Having a mobile website is critical in today’s business environment. Research has shown that 86% of all mobile users use their mobile devices when searching for rental homes. 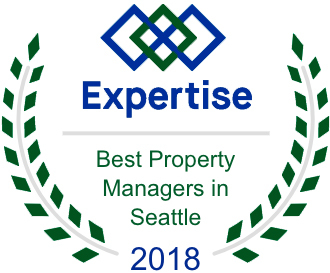 Seattle's Property Management recognizes this is a constant opportunity for our business to make a positive impression on prospective tenants and ensure higher visibility for our clients. Seattle's Property Management invested heavily in technology systems to provide clients with the best services to manage their properties efficiently and effectively. For this purpose we have chosen the industry leading property management software; ©AppFolio. We can quickly and professionally advertise your properties on our website as well as over one-hundred other relevant websites with a quick one-click system. *Starting in February 2018 properties located in the City of Seattle will no longer be subject to criminal background checks due to recent legislative changes by the City. All security deposits are held at by our company in a pooled non-interest-bearing trust that is FDIC insured. The bank we utilize is in Seattle, WA and has been in business for over 70 years. We’d all love to depend on a handshake agreement, but today’s liability concerns necessitate leases and other documents that make a handshake more official. By including lease preparing in our full-service property management, you benefit from our well-vetted lease agreement. At Seattle's Property Management, we draw up leases each and every day, helping our clients secure and screen tenants before getting them to sign the lease that provides protection for both parties. 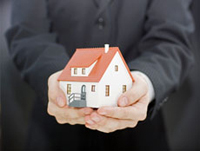 Seattle’s Property Management is Committed to Comprehensive Service! We address vacancies and work orders promptly to ensure your investment is taken care of while minimizing client costs. We maintain your property, ensuring tenants are proud to come home to the properties that we manage. Our owner web portals and direct deposit technology make client statements and payments both paperless and seamless. Our team can securely access information about all properties at any time and from anywhere, providing the best service. As a mid-sized property management company, our clients enjoy the capabilities of a large firm with a local feel. 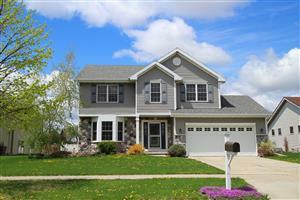 Our licensed property managers bring their many years’ of professional experience to benefit your bottom line.